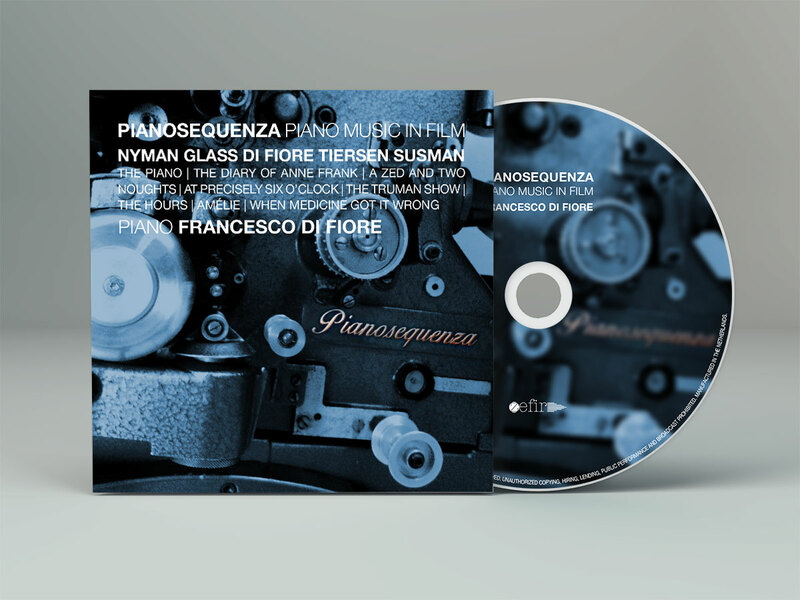 Zefir Records presents Pianosequenza, a new solo album by Francesco Di Fiore, containing music from film scores by Philip Glass (The Truman Show and The Hours), Yann Tiersen (Amélie), Michael Nyman (The Piano, A Zed and Two Noughts and The Diary of Anne Frank), William Susman (When Medicine Got It Wrong) and Di Fiore himself (At Precisely Six O’Clock). Pianosequenza will be released Friday, September 4, 2015 by Dutch label Zefir Records, internationally distributed by Bertus. Naxos Records will distribute Pianosequenza also in USA and Canada and in digital worldwide.